As we have discussed some days ago, Google tests a new navigation bar. Most probably, the new navigation bar will replace the black bar. Here we have some screenshots that reveal the experimental interface and the three important changes. As of the screenshots, the black bar is removed; the list of Google services is now a drop-down next to the Google logo. 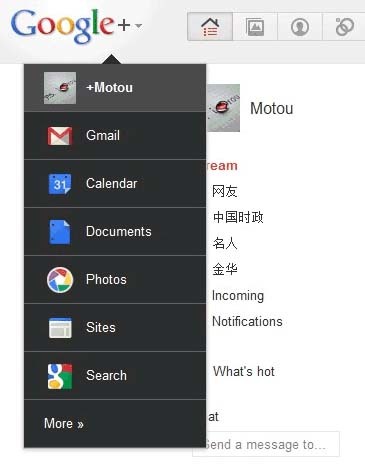 Moreover, you can find the tools menu; the notification button and the sharing box are displayed next to the search box. Though the new interface hides the list of Google services, it is cleaner. At the same time, it is difficult to use and most of the users will not like to switch from Google Search to Gmail, from Google Docs to Google Reader if the navigation links are no longer displayed without performing an action. Check out the screenshots and write us what do you think about it.